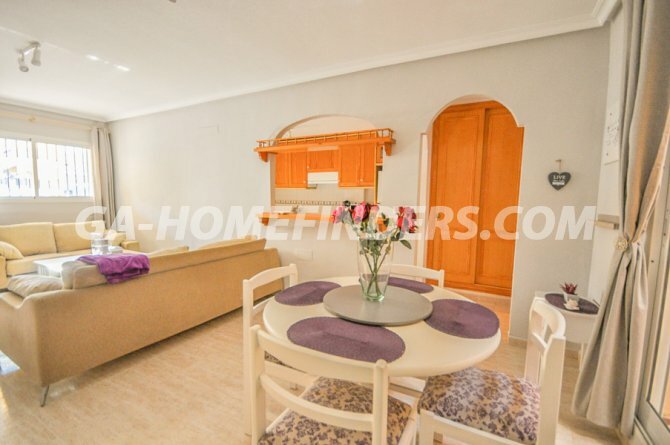 Ground floor apartment in Novamar 4 with 2 bedrooms and 2 bathrooms, south west facing apartment, very sunny all year round, furnished and with kitchen appliances, open plan American style kitchen, enclosed utility room, built in wardrobes in the bedrooms, shutters on all the windows, security grills on the windows, patio, one of the biggest terraces for a 2 bedroom ground floor apartment in the whole urbanisation Novamar 4, awning on terrace, mosquito nets. 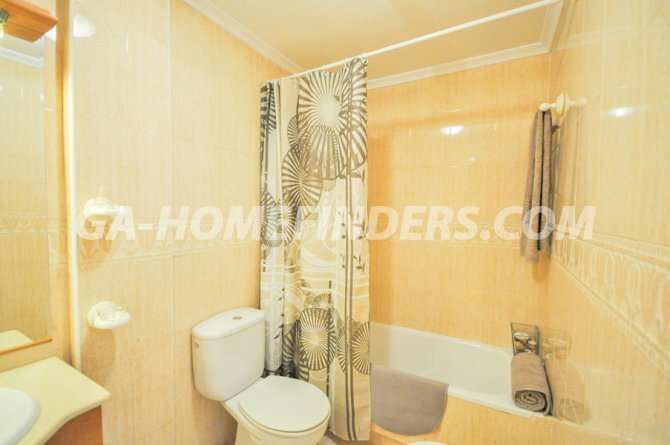 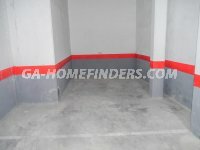 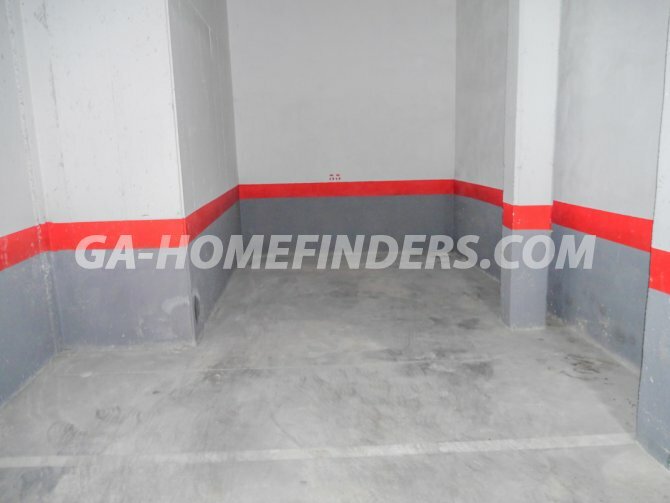 Located on the inside of a well maintained quiet enclosed pedestrian only urbanisation with a communal swimming pool. 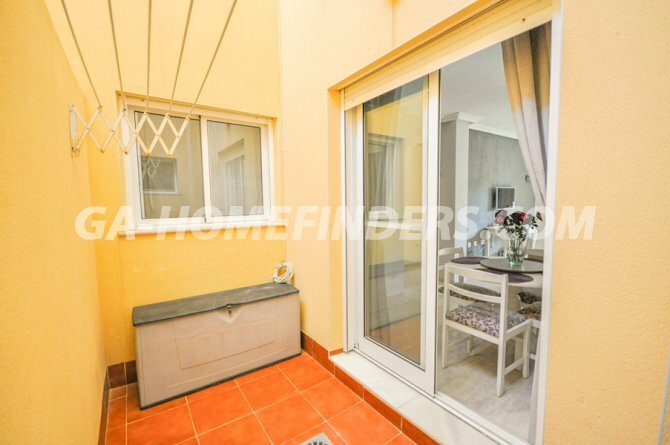 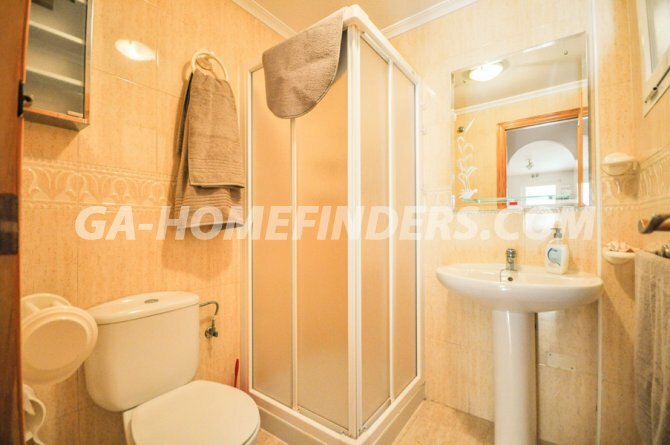 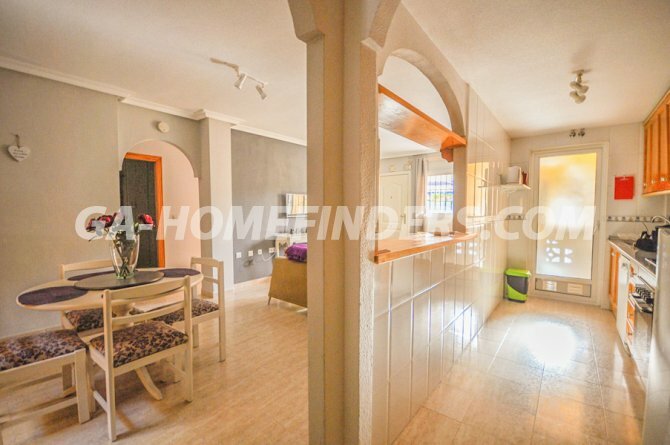 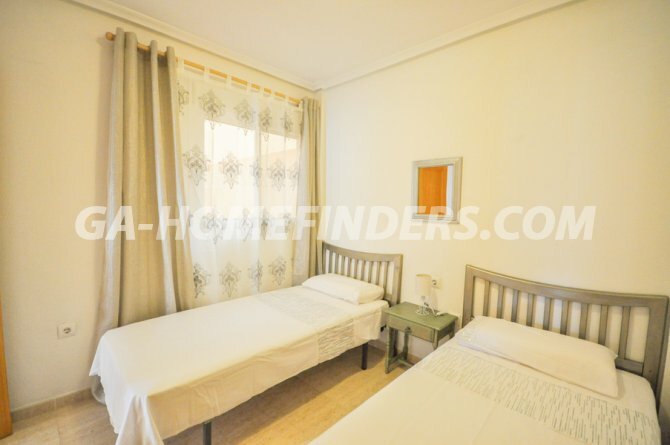 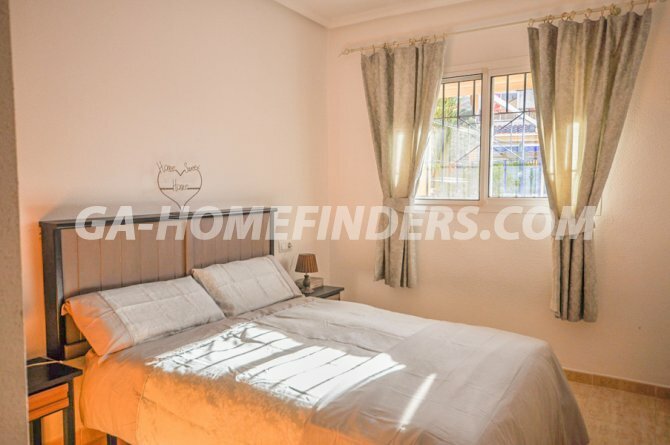 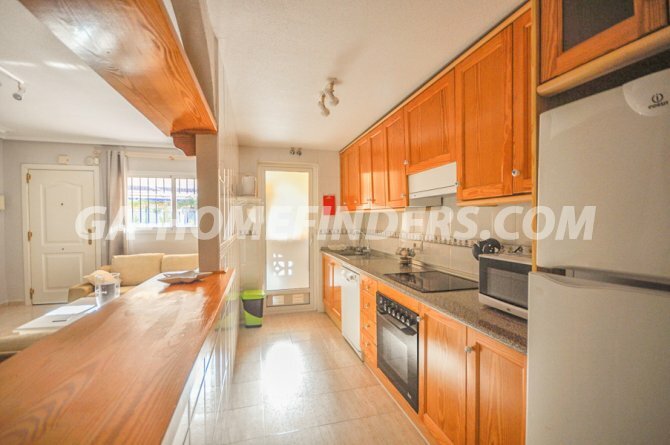 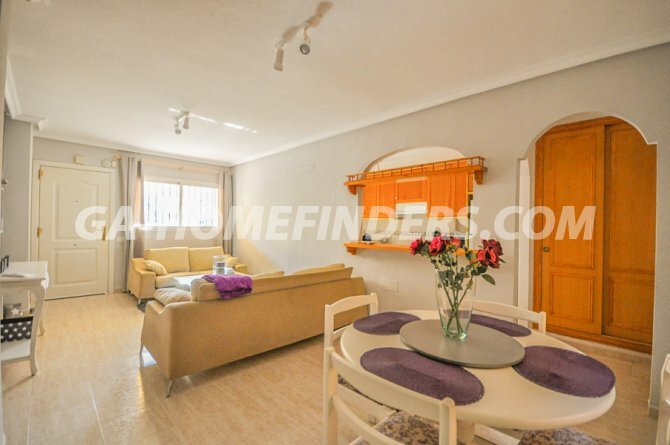 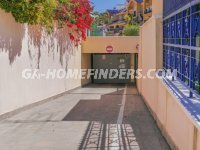 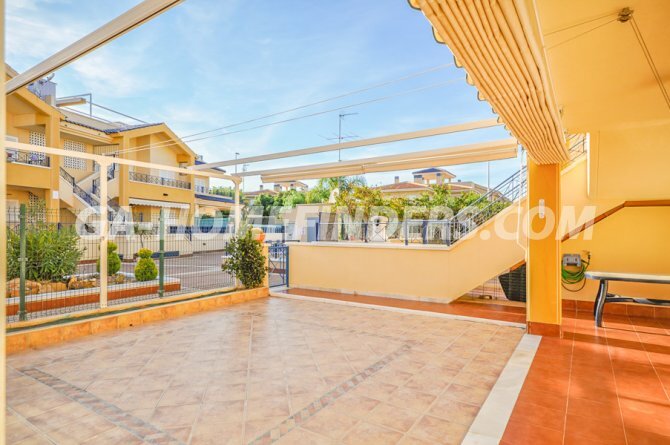 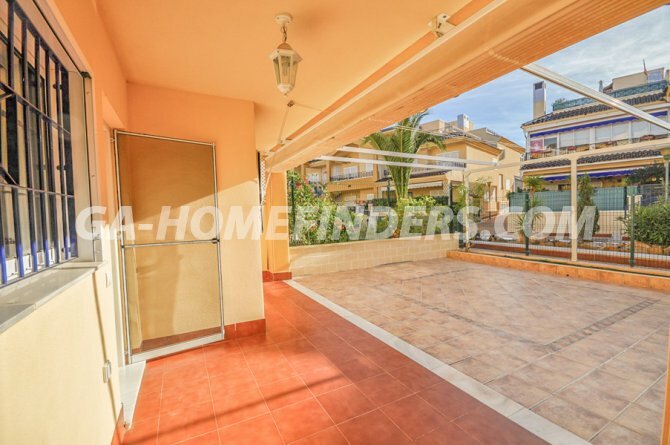 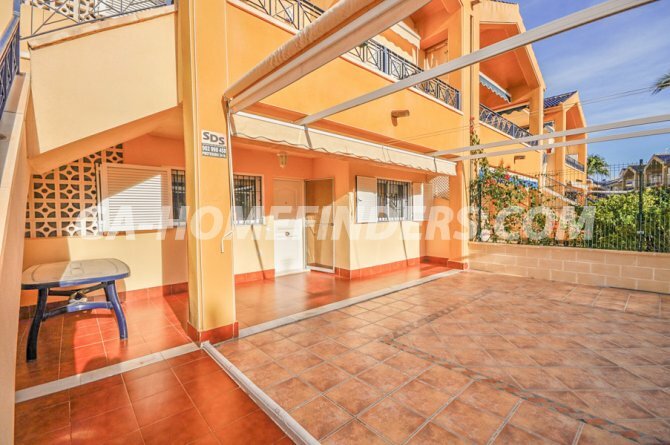 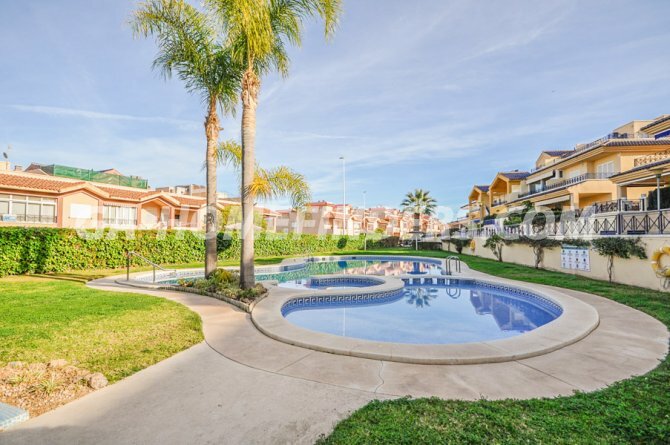 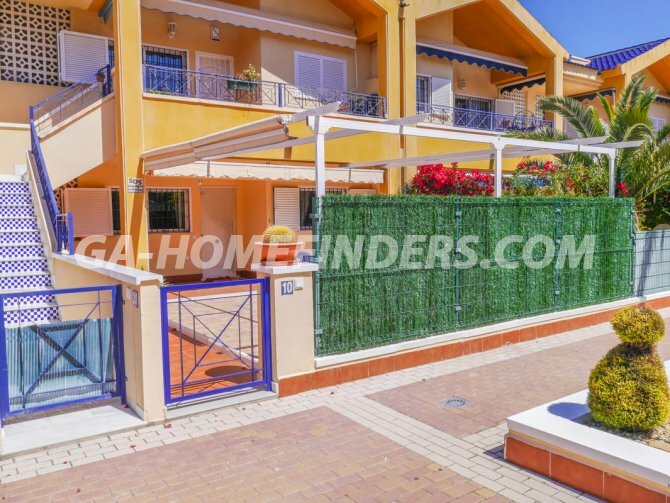 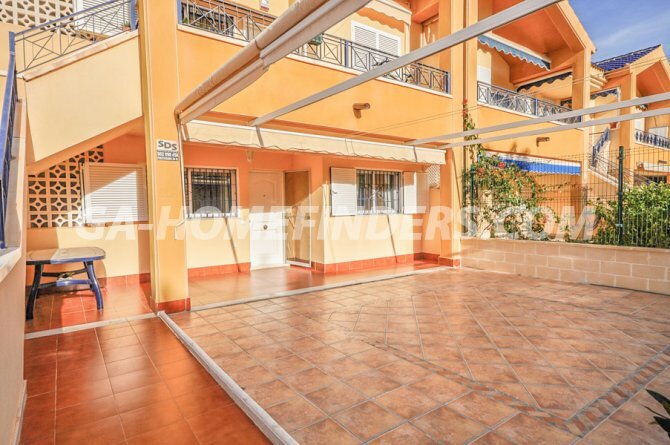 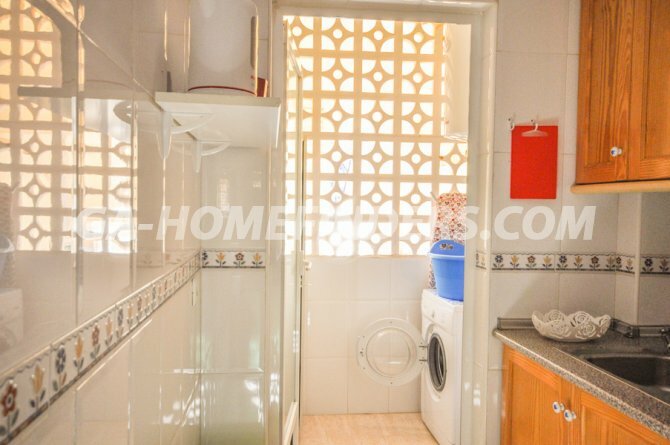 Situated in the lower part of Gran Alacant within walking distance from the bars and restaurants, Close to the nature reserve Clot de Galvany and within walking distance to the Carabasi beach with all it´s facilities. 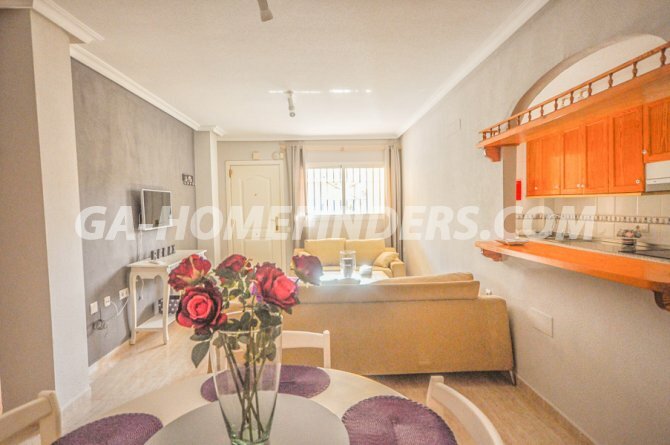 Only a few kilometres away from Alicante / Elche international airport.